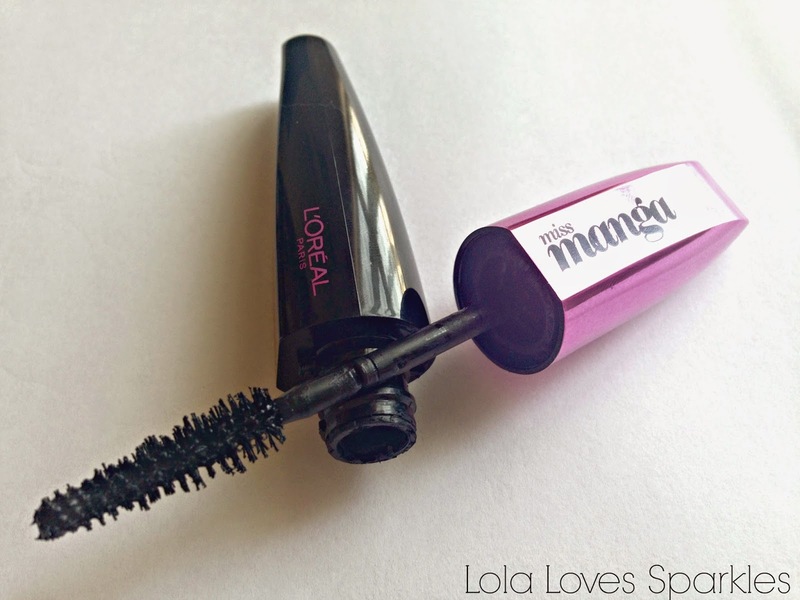 You all know why I wanted to try this L'Oreal Miss Manga mascara right? Not because everyone is hyped up about it. Or because I've read so many mixed reviews. It was because of the name. Miss Manga. I adoreeee manga and anime. So yep, I had to get it. At the time I bought this it was not yet available in Malta [dunno if it's available now, though] so I got mine off Feel Unique - get yours HERE and yeah - they have free worldwide shipping! So it has standard packaging but it's pink and black. 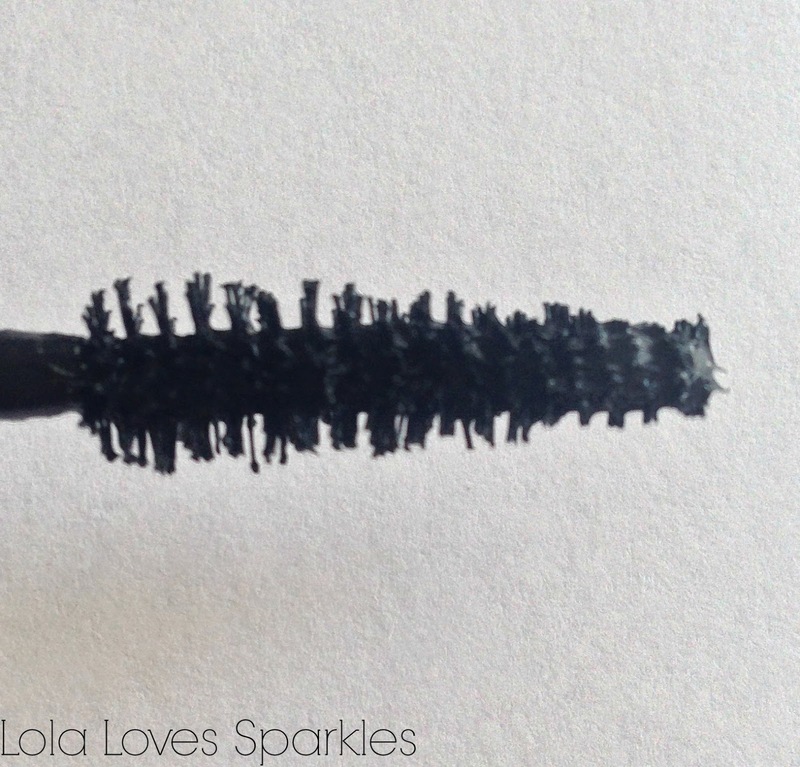 The most important feature of this mascara is the wand [which you can see if you scroll down]. 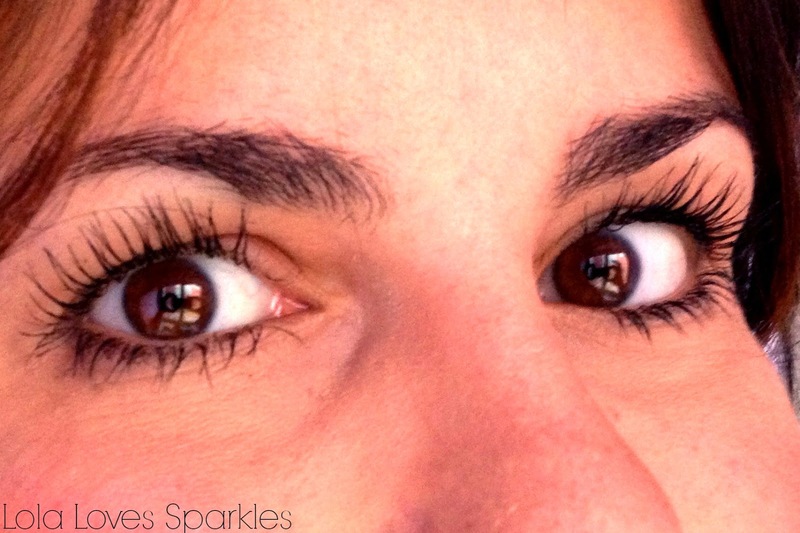 The 360 degrees flexible wand allows you to reach all your eyelashes. At first it was pretty weird using this, since the wand kept wobbling around, but you get used to this immediately. The wand is cone shaped - slightly tapered, so there is no risk of smudging when you try to coat even the tiniest, or your bottom lashes. 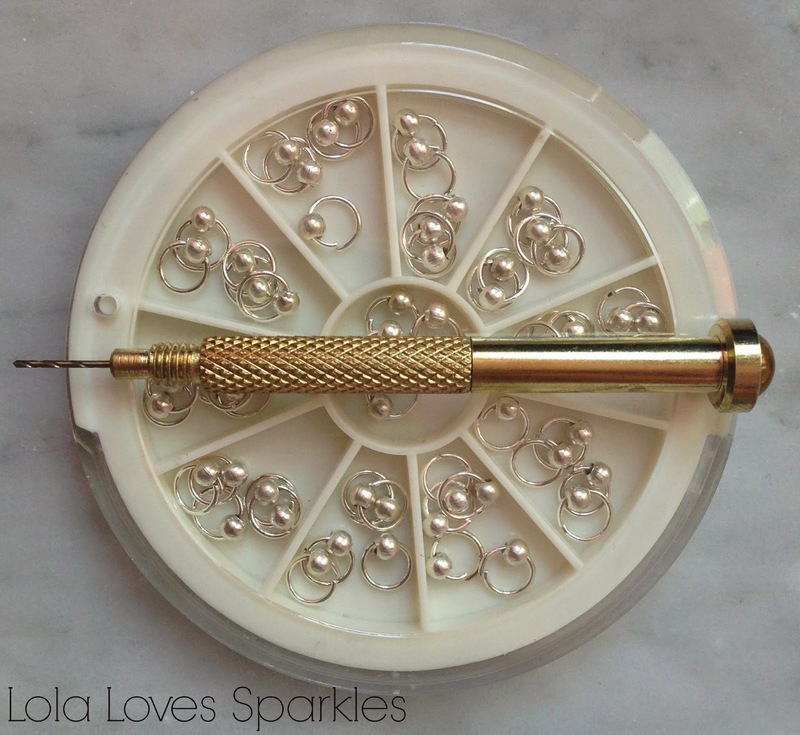 The bristles are made out of fibre and are really soft. 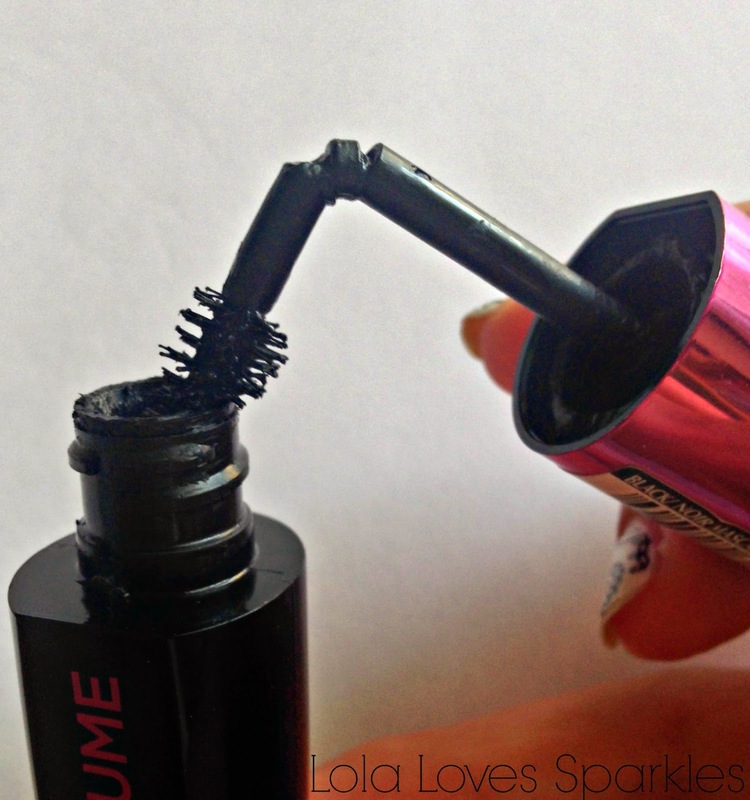 It also collects just enough mascara on it - so you do not get that wet lash feeling, or any blobs, either. It is a very dark black colour [but it comes in a couple of other shades]. This does give a clumpy effect if you are not careful or if you use too many coats. For me, if I try to apply more than 2 I find that it clumps up. Usually though I apply just the 1 coat [it is that amazing, yes], and 2 coats if I'm wearing heavy eye makeup and I want the false lash effect but without using any false lashes. This dries almost immediately once applied [thanks goodness because I really have a habit of sneezing once I apply mascara] and it does not smudge - at all. It is also easily removed with some baby wipes or cleanser. 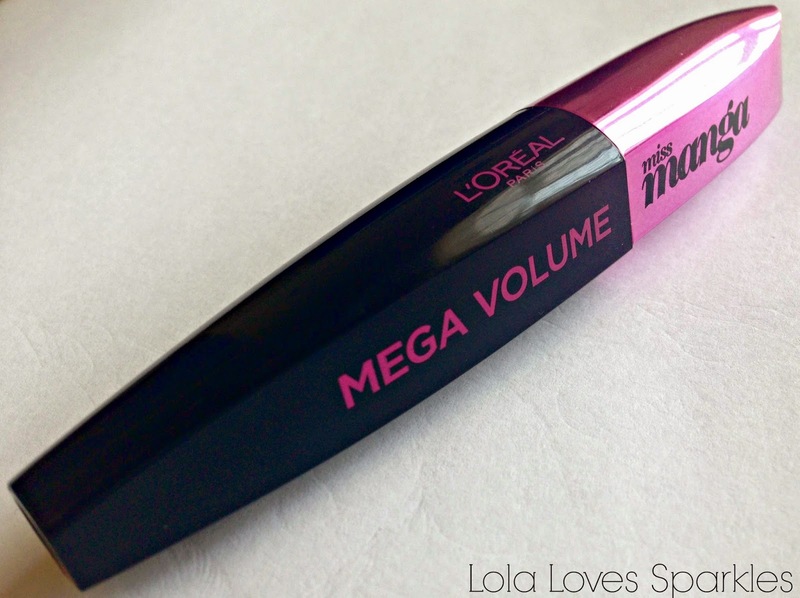 I cannot rave enough about this mascara. Seriously. I need to get myself a backup! 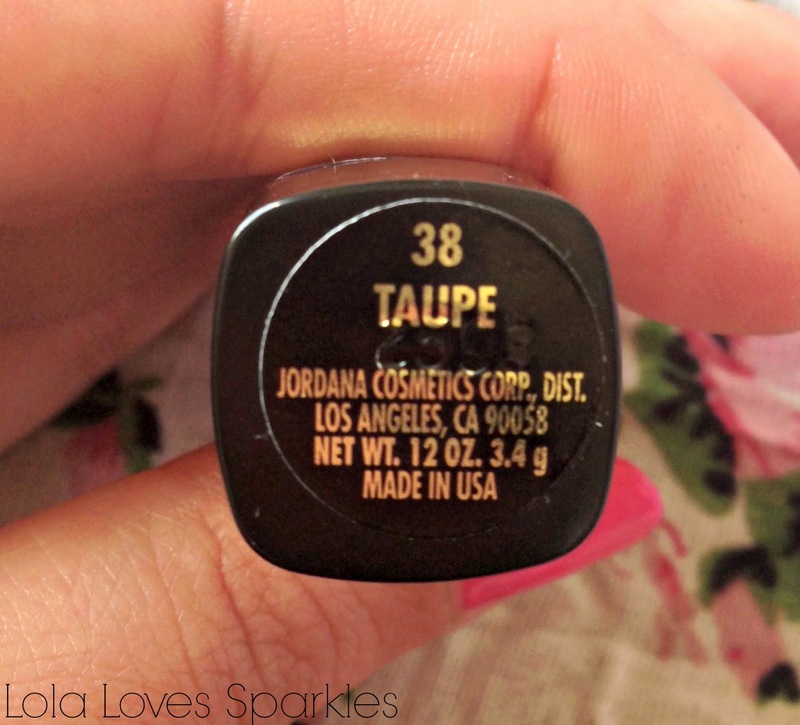 I got this Jordana Matte Lipstick in 'Taupe' a couple of months back, and I have to admit that it found itself in the back of my lipstick drawer. 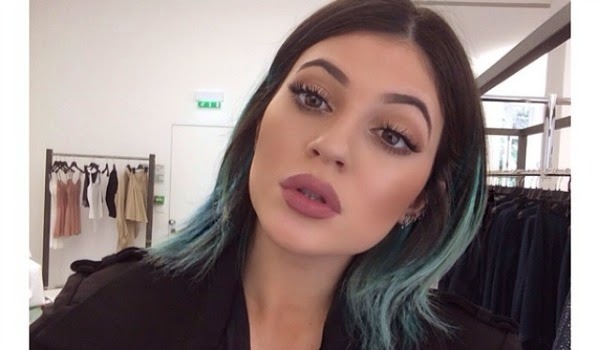 I only remembered about it because while at a Bloggers Meet Up, we mentioned Nicole Guerriero's video whereby she claimed that she had found a perfect dupe for Kylie Jenner's staple shade. 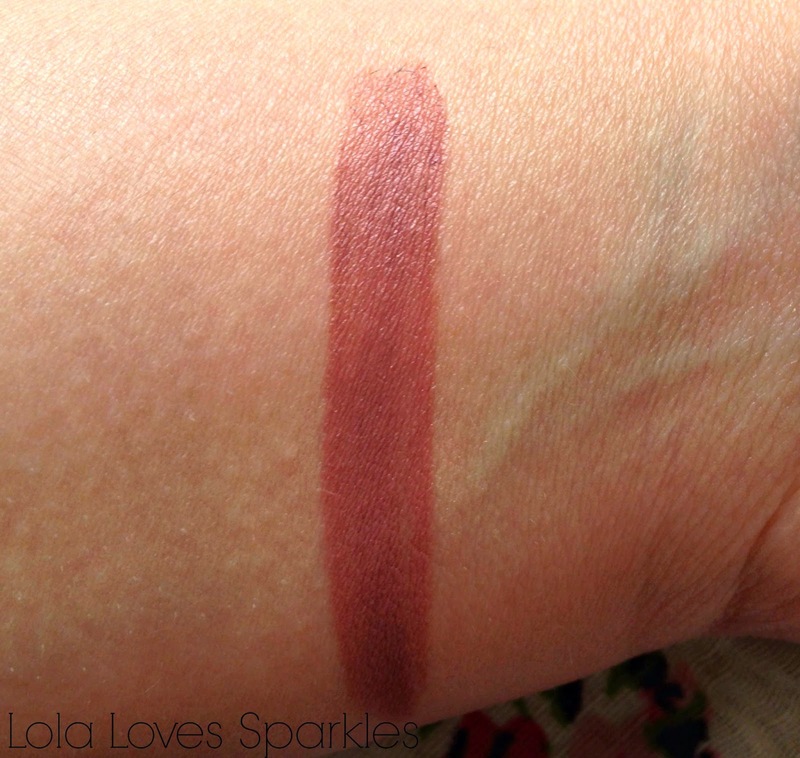 Well, I believe that this Jordana lipstick is an even closer match! And hey, it is currently on sale on Cherry Culture for just $1 [exc. shipping]. 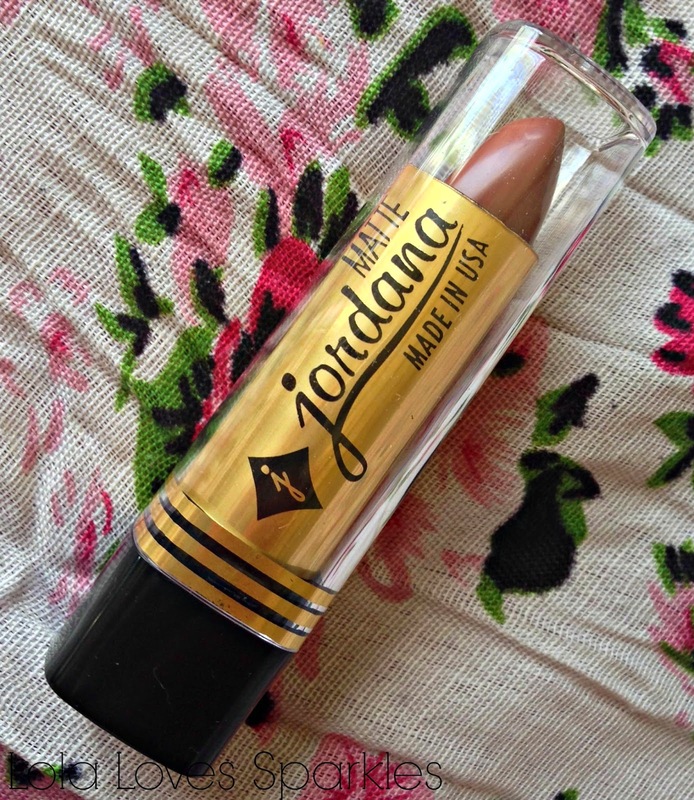 The lipstick comes in a gold case together with a see-through plastic lid. It is quite cheap looking [but for $1, who is complaining]. The gold tube does get scratched and nicked, and fades over time. My only problem with the casing is that, like the Wet n Wild lipsticks, the bullet is not fully retractable so you must take extra care when putting on the lid. 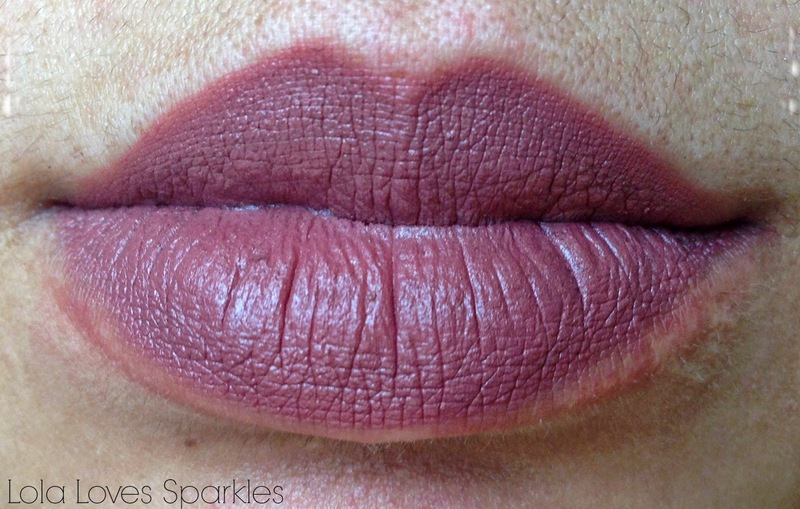 The shade is, like the name implies, a taupe-y shade with brown undertones. 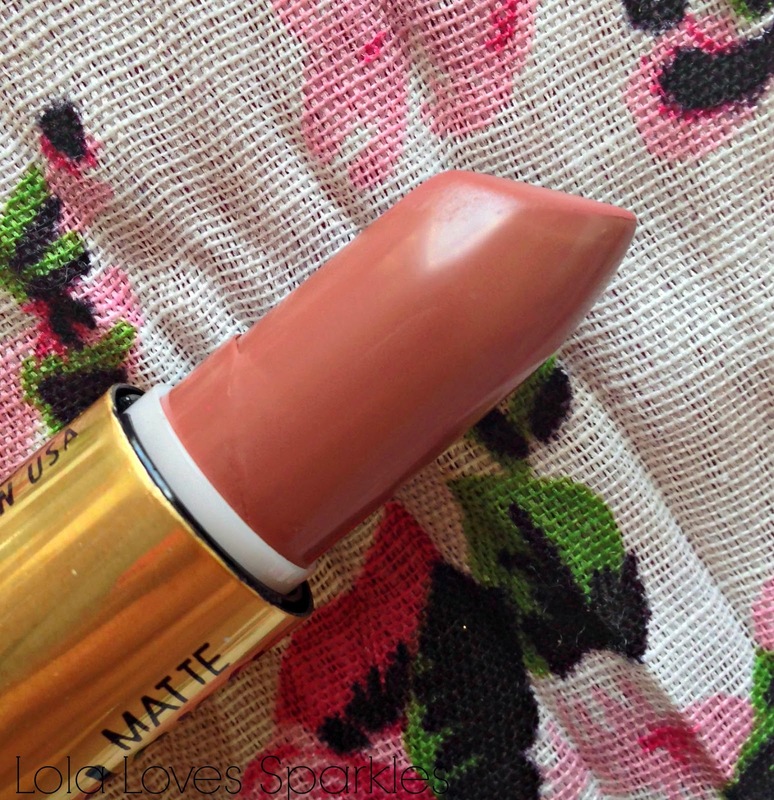 It is completely matte, but does not tug on your lips [unlike MAC's Ruby Woo, for example]. It lasts a good couple of hours, too. When I was in my early teens, I remember how I always tried to pierce my natural nails with a compass tool, and then put a nose piercing in. Naturally, my natural nails always chipped and broke, since they're really thin and weak. Fast forward to about 10 years ago, when I first started getting nail extensions. Back then I really wanted a nail ring, so the first time I got them done, I chose to get one. Now that I am a nail technician myself, I've been thinking about getting me some, with the hopes that someone will love nail rings just as much as I did. And hey presto, the sweet Nicole allowed me to pierce hers today. I got my nail rings from Born Pretty Store, and they have loads of different ones. 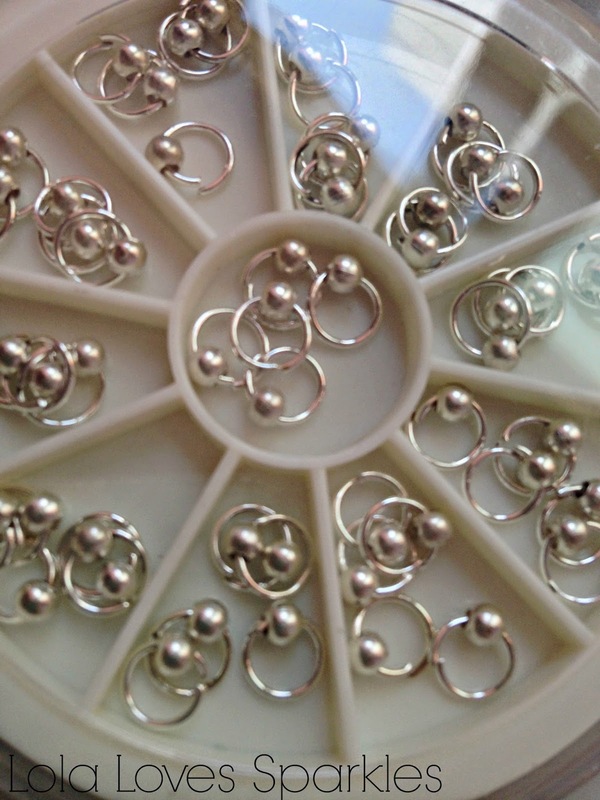 Mine are the 3mm silver nail dangles, which cost $5.28* including shipping - which is free. It came with a handy tiny hand drill. You can get yours by clicking HERE, and of course use the discount code AIB10 to get 10% off at checkout. 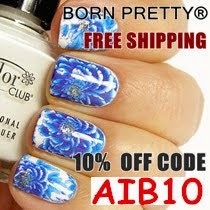 Now it is best to use these on nail extensions, unless you have really, but really, strong natural nails which you feel confident enough to pierce. 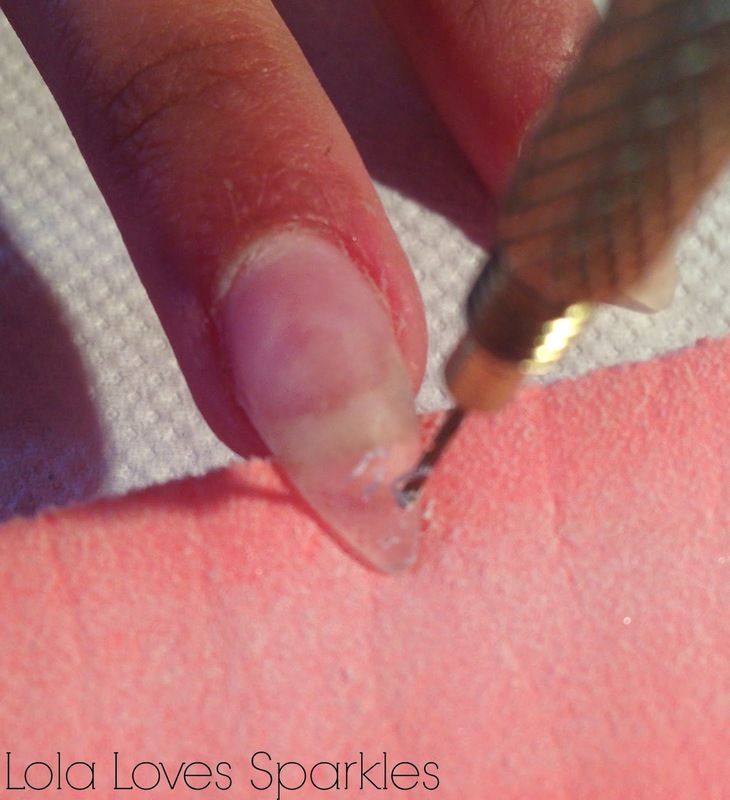 To pierce, place your nail tip on top of a soft, cushy surface [I used a soft nail buffer here], and slowly rotate the hand drill until the nail is pierced. You then open the nail dangle / ring with small pliers or a cuticle nipper, slowly insert it in the hole, and re-close it tightly with the nipper/pliers. It's such a cute addition to your manicure, without needing nail art! What do you think, would you get them? 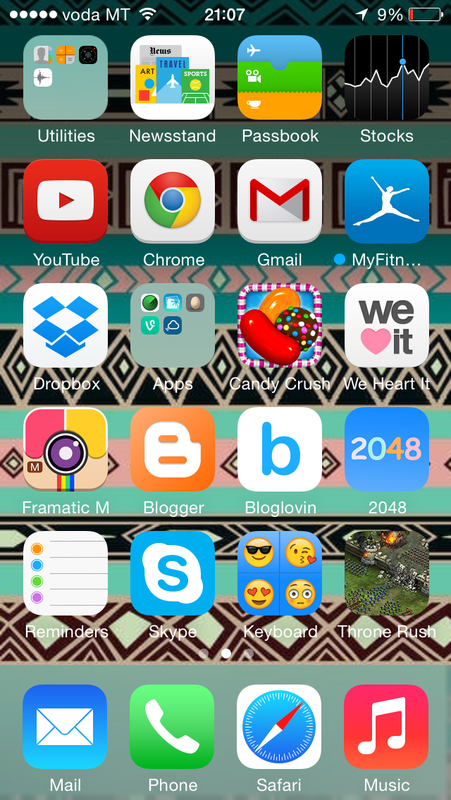 Just thought that you would like to know what apps I have on my iPhone! Pages: Easy access to my blog and nail pages. Whatsapp / Snapchat: Free messaging - what more do you want? Camera+: This app is my favourite out of all the photo editing apps. It is like a mini photoshop - you can lighten/darken/smoothen etc. This also has some frames and filters, too. I forgot how much this one cost me but I believe around the €2.00 mark. SquareSize: This changes the size of normal photos to Instragram size - without the need to crop them. ABM (A Beautiful Mess): This is the app which allows me to add cute shapes, frames and words on photos. This is not a free app but forgot how much this one cost. My Fitness Pal: A handy calorie counter. We Heart It: Love this app for cute pictures and cute ideas. Frantic Mess: Similar to ABM, but free and with less options. Blogger: Just in case I would like to post something on my blog from my phone. 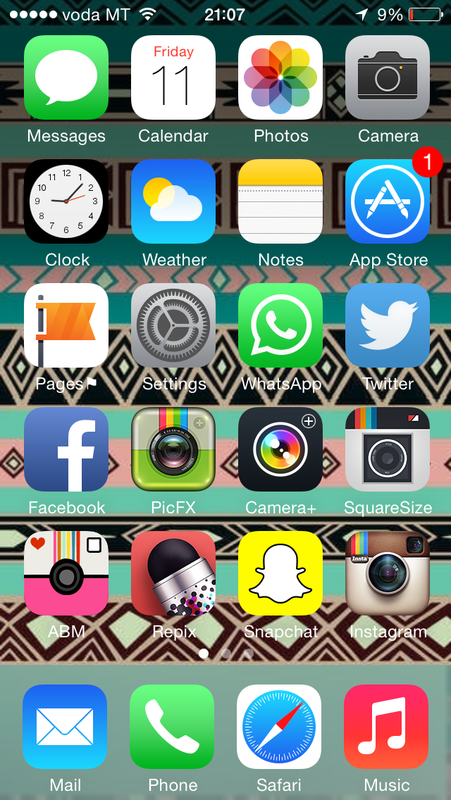 Blog Lovin: To read my favourite blogs on the go. Emoji Keyboard: For when I want to be extra girly. Candy Crush / 2048 / Throne Rush: Do I have to explain myself? A girl needs games. 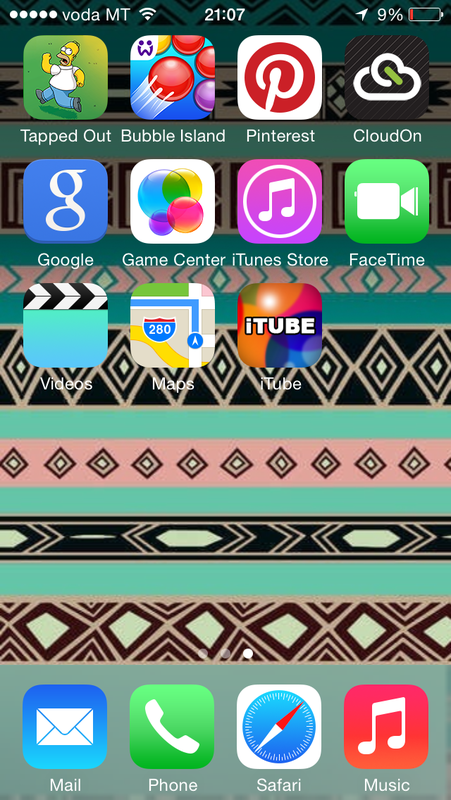 These are the apps which I don't really use, but I do sometimes. The Simpsons - Tapped Out: Used to love this, but it drains my battery. Bubble Island: For when I'm totally and utterly bored that not even Blog Lovin and You Tube can save me. iTube: A nifty app similar to You Tube/iTunes, but lets you download songs which you can listen to even without an internet connection. Any other apps which I should have? Let me know!